Paper Garden Projects officially turns terrific two this month! We are so grateful to all our wonderful customers and our talented design team members (past and present) who have made it possible to celebrate a second birthday! We started with about 40 different products and now are offering well over a thousand! We are growing a little bit more every day but still staying focused on bringing you quality products that we love using ourselves. Our goal is for every customer to be thrilled with every purchase. As our little Birthday gift to you, we are offering everyone the digital stamp set used in this sample card. It is available as a free download in the store here. The set includes the cone flower image and 3 sentiments. The download includes both transparent PNG files and JPG files. This stamp was taken from a pencil drawing of coneflowers from my garden. The bottle in the drawing is hand blown green glass from Jamestown (If you have never been to the Williamsburg area, you really should go. Its an amazing way to experience history). Of course you can color it any color you wish! I colored printed the image and Birthday sentiment and colored with Copics. The patterned paper is from the Basic Grey Porcelain paper pad and the cardstock is Prism Herbal Dark. The sentiment is cut out with Spellbinders dies. This is just the start of our Birthday celebration – so check back throughout the month. We have fun challenges, great prizes and more freebies planned. And don’t forget to enter our Fourth Friday Fun Challenge – “farewell to winter” to with the wonderful Frosted Winter paper kit. This entry was posted in Digital Stamps and tagged Basic Grey, Copic Markers, Digital Stamps on March 1, 2010 by Cathy. wow…great image but I love the “treasured friend” sentiment! Happy Birthday PGP and Cathy! Thanks for the digi. Thank you so much for the freebies. Your coloring is outstanding and Happy Birthday! Happy Birthday Cathy! Hope you had a wonderful day full of love and presents : ) What a great gift to give to our followers! 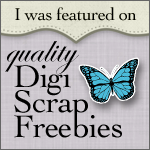 LOVE your card, going to donwload my freebie! Thank you for the free digi – it’s absolutely beautiful! Happy Birthday Paper Garden Projects and Cathy i hope you had a wonderful birthday! Love your card and thank you for the freebie. Thank you so much, it is beautiful and I love the wordart!